In a small town in western Nigeria, four young brothers - the youngest is nine, the oldest fifteen - use their strict father's absence from home to go fishing at a forbidden local river. They encounter a dangerous local madman who predicts that the oldest brother will be killed by another. This prophesy breaks their strong bond and unleashes a tragic chain of events of almost mythic proportions. 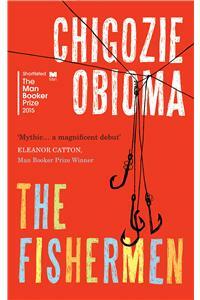 Passionate and bold, The Fishermen is a breathtakingly beautiful novel firmly rooted in the best of African storytelling. Chigozie Obioma was born in 1986 in Akure, Nigeria. His short stories have appeared in Virginia Quarterly Review and New Madrid. He was a Fall 2012 OMI Fellow at Ledig House, New York. He has lived in Nigeria, Cyprus and Turkey, and currently resides in the United States, where he has completed an MFA in Creative Writing at the University of Michigan. The Fishermen is his first novel.